On his return from Kuala Lumpur four months ago, Mr Richard Kuppusamy was dismayed to find that his wheelchair had been damaged in transit - the spokes of one of the wheels had been smashed and an axle bent, rendering it unusable. The 40-year-old, who travels every three weeks for work, has spina bifida, a malformation of the spine, and is paralysed from the waist down. 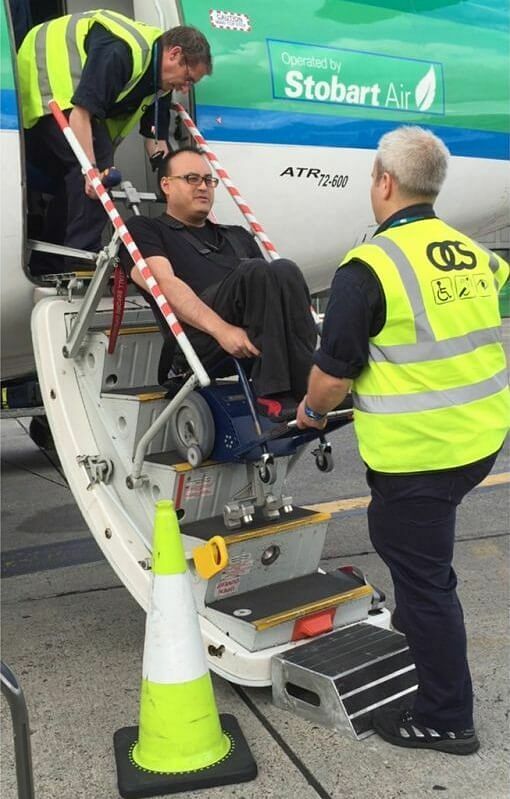 The regional manager for a property development company says it took six weeks for the airline to repair the wheelchair. "I'm lucky I arrived at home where I had a spare wheelchair. What if I were a tourist arriving in Singapore? How could I have continued my holiday without a working chair?" asked Mr Kuppusamy, who is also the president of the Disabled People's Association, a non-profit that advocates for people with mental, sensory and physical disabilities. While awareness about the needs of people with disabilities has improved in the past decade, there is still a long way to go to make travel accessible for them, say experts. One of the biggest issues, it seems, is a lack of information. Travellers with disabilities face a lack of clear information about whether or not a destination is wheelchair accessible, has audio guides for the visually disabled or mobile notifications for the hard of hearing. "Such information is often missing or difficult to find online," says Lonely Planet travel guide's accessible travel manager Martin Heng. Last month, in an international study of the needs of the disabled traveller commissioned by travel technology provider Amadeus, 53 per cent of more than 700 people surveyed said they still need help with all or part of the booking process. Mr Heng, who was left quadriplegic after an accident in 2010, says much of a disabled traveller's distress comes from a lack of clarity in accommodation options, in particular. While hotel booking websites such as Hotels.com, Expedia.com and Booking.com have filters so travellers can search for hotels with facilities for disabled guests, what that means varies. "Each country has its own building code about what an accessible room means. There is no international standardisation," he says. For some hotels, an accessible room might mean that it has a flashing fire alarm system and a wheelchair-accessible bathroom. For others, it means that there are extra handrails in the toilet or that the hotel is located near a train station. "Customers have to call the hotel to verify exactly what an accessible room means and often the person on the other end of the line doesn't know the answer," he says. Hotels should display clear pictures of accessible rooms and bathrooms on their websitesand staff should be trained to answer a customer's accessibility questions, he says. Hotels say that part of the problem is caused by a lack of understanding of what a disabled traveller needs. Ms Gaynor Reid, vice-president of communications and corporate social responsibility Asia Pacific for AccorHotels, says one of the key challenges is understanding the specific needs of guests with disabilities and providing appropriate support during their stay. "Housekeeping staff should be aware that wheelchair-using guests often require extra towels and F&B staff need to understand spacing between tables and the need to provide help with menus for guests who have visual or hearing disabilities," she says. In newly built Accor hotels, between 5 and 10 per cent of rooms are accessible, which means larger bathroom spaces with adjustable amenities. There are also visual indicators for fire alarms and vibrating pillows to wake guests who have hearing disabilities, in emergencies. There are room numbers in Braille, large letter signage as well as ramps and lower reception counters for guests in wheelchairs. Ms Judy Wee, senior manager of Muscular Dystrophy Association Singapore, says the travel industry must come round to the idea that facilitating the needs of a wider range of disabilities will help its bottom line. "It will make travel more accessible to new markets, including a growing cohort of elderly travellers," she says. According to the United Nations, 15 per cent of the world's population - or about one billion people - are living with a disability and, by 2020, this number is expected to rise to 1.2 billion, or about 20 per cent of the population, in part due to an ageing population. The Amadeus study found that travellers would increase their budget by 34 per cent, by travelling more or for longer periods of time, if accessibility barriers were removed. It is the right of every person to be able to have access to information, facilities and services which are relevant to them, says Mr Kuppusamy. "These things make all the difference. They can either lead to a disabled person deciding to stay at home or having the confidence to get out and see the world." Out of the myriad inconveniences Mr Lim Kay Choong has faced as a traveller with a disability, one incident sticks out in his mind. Last year, after a five-day trip with his friends to Ho Chi Minh City, Vietnam, the digital marketeer, who has muscular dystrophy - a disorder which causes the weakening of muscles over time - was about to board his flight back to Singapore when he was stopped. The ground crew refused to let him check in his foldable motorised wheelchair - on which he relies - unless its lithium battery was removed. Mr Lim, 28, who had made sure to call the airline beforehand to get permission to check in the motorised wheelchair, was livid. "They don't realise how important the wheelchairs are. They are very dear to us," he says. Mr Lim, who has had the degenerative condition since birth, has limited mobility and cannot move a manual wheelchair by himself. Despite his pleas, the airline would not budge and he was forced to leave the $600 battery with its ground crew in Vietnam. A friend in Vietnam eventually helped to retrieve the battery and sent it back to Singapore, but the process took weeks. Meanwhile, Mr Lim had to buy another battery to move around freely. There seemed to be a lot of misinformation involved in the incident, says Mr Lim, who called the airline to complain the day after he landed. Customer service was surprised that he was unable to take the battery on board. Such inconveniences can be prevented, he says. "If someone had told me on the phone that I would not be able to bring the chair, or if the information on its website was clear, then it would have been my fault as a consumer," he says. "I would have planned my trip differently. But the information is not there. There is a lot of grey area, so I was really angry." Other travellers like him have had to face wheelchairs returned by airports and airlines with dents or broken parts, and hotels with a lack of wheelchair accessibility. The avid traveller, who travels once or twice a year, visits Taipei - his favourite destination - most often. 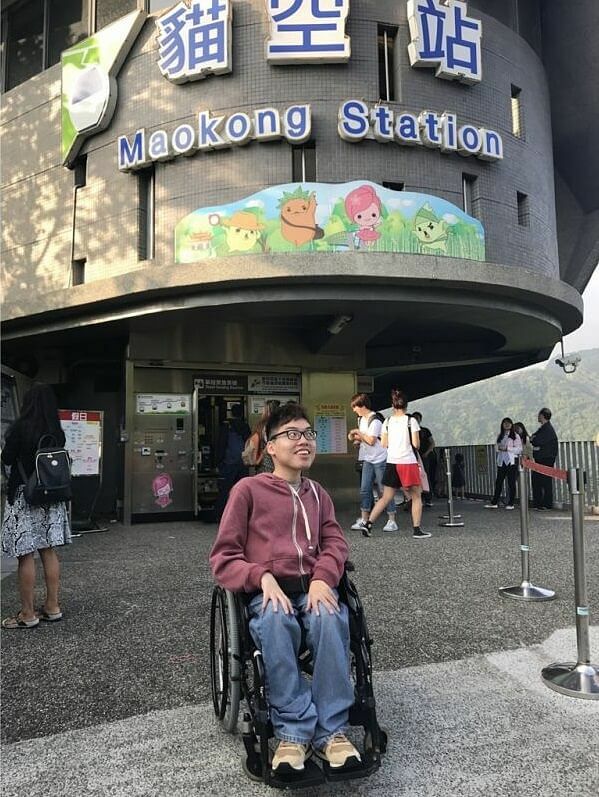 He likes it for its wheelchair accessibility - it is as easy to get around there as it is in Singapore, he says - it is also safe and the people are friendly. But to avoid a similar situation like the one he had in Vietnam, Mr Lim now takes a manual wheelchair with him on his travels, relying on his friends and family to push him. "I wish I could use my electric wheelchair," he says, adding that relying on someone to push him all the time is not ideal. "It is like asking permission for each step I take. "But I don't want the hassle and stress of not knowing what might happen to my motorised wheelchair. "I don't feel confident any more. There is a lack of clarity and I don't know what will happen on the other side." As a blind person, you might not even be able to find your room if you are on your own, let alone check or change the temperature on the air-conditioning. Mr Ng Choon Hwee, 62, may be blind, but that has not stopped him from travelling the world. He and his wife travel once or twice a year and have been to a dozen countries, including Japan, Australia, Canada and the United States, together. They have no children. His most memorable trip was to New Zealand, where he went whitewater rafting and rode in a helicopter. 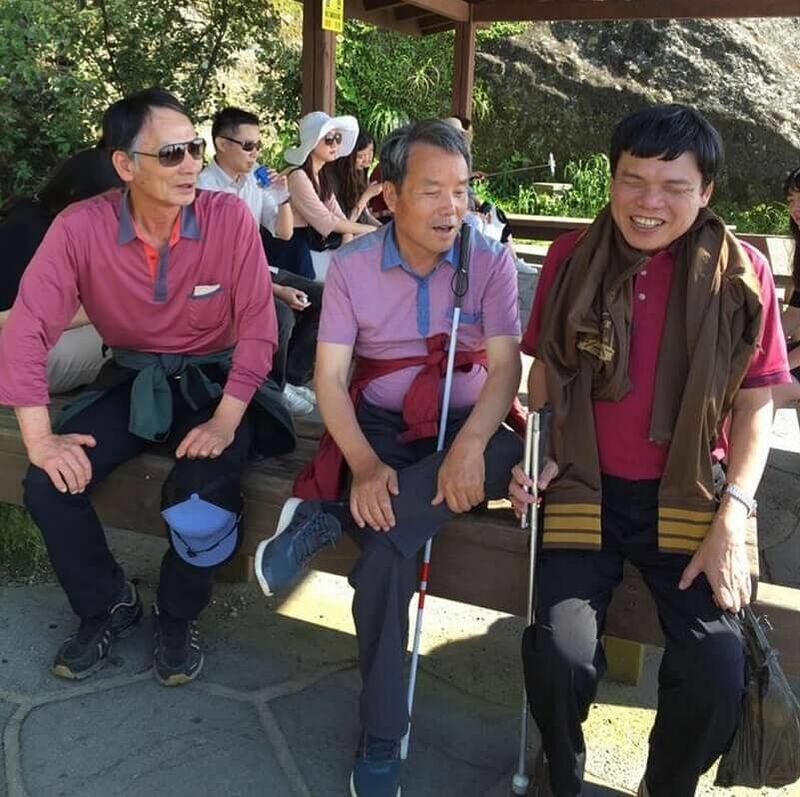 "As a blind person, you will probably miss out on some things, but I enjoy hands-on activities or listening to a tour guide telling us information and learning about the country. "Just being able to get away from the usual routine of going to work and coming home is something that I enjoy," he says. However, Mr Ng, who was born blind, is heavily dependent on his wife when he travels. The Braille transcriber often describes where they are, helps him navigate the destination and find his way around everything from his hotel room to his dinner plate. "It is rare to find museums, landmarks or even hotel rooms with anything in Braille," says the director of a church ministry for the visually disabled, who uses a walking stick. "As a blind person, you might not even be able to find your room if you are on your own, let alone check or change the temperature on the air-conditioning, or distinguish between the packet of sugar and salt on your food tray." Visually disabled people, he says, need information that sighted people take for granted, such as which tap is for hot and cold water. Instructions, such as on how to do things like operate the safe or get to the emergency exit, are rarely relayed to him. He also does not recall ever coming across instructions in Braille, he says. "While awareness of accessibility issues has improved in the last 10 years, there is still a lack of understanding about how to implement that knowledge in a helpful way," he says. On occasion, when asking for help to get to a location - say, a taxi bay or airport boarding gate - Mr Ng was offered a wheelchair. "It's not necessary. I may not be able to see, but I am still able to walk," he says, adding that he hopes the travel industry will adopt new technologies such as Bluetooth beacons. These send audio notifications of a visually disabled person's whereabouts to his mobile phone, so he can navigate places on his own. "Navigation is the most important issue. My biggest concern about travelling is being lost or getting stranded, especially if I amin a place which does not speak my language," he says. Mr Martin Heng, accessible travel manager at Lonely Planet travel guides, wants to help travellers with disabilities feel more comfortable about travel. When gearing up for the 2012 Olympics in London, tourism bodies in Britain devoted resources to developing accessible tourism and are now a world leader in this aspect. The national tourism body VisitEngland (www.visitengland.com/plan-your-visit/access-all) provides free downloadable guides for accessible coastal breaks, country escapes and city breaks, including information on how to get around. The VisitFlanders (www.visitflanders.com/en/accessibility) website has detailed information for planning one's trip and offers free comprehensive guides to the Flemish coast and the city of Bruges, with a map showing wheelchair users how to avoid obstacles in the city. The guides by the Belgian tourism body also include detailed access information about attractions, restaurants and public toilets for abled and disabled people. The German tourist board's website has travel tips and accessibility information for 145 destinations and points of interest (http://bit.ly/1oQUsIB). It has links to two downloadable brochures: a 54-page Enjoy With Ease guide, with information about transportation and points of interest for people with disabilities; and the Barrier-Free Tourism In Germany manifesto on the the country's efforts to create a barrier-free place.